Do you want to setup your own business in Mumbai? If yes, then invest in food business for constant source of income. Food business or food sector in India is one of the high-growth and high-profit sectors in India. 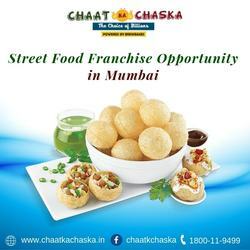 If you are looking for a business idea that can help you make more money with low investments then, Chaat Ka Chaska food franchise in Mumbai is the best opportunity for you.